12 Weeks Pregnant: Can You Feel Your Baby Start Moving? The baby learns to respond at 12th week of pregnancy. This can be observed when the mother taps her abdomen with a finger, and in response, the baby squirms. 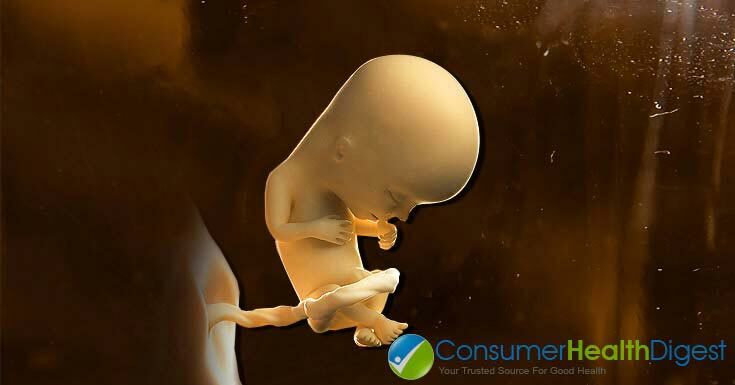 This article provides an overview on the fetal development, maternal changes, signs and symptoms and some interesting facts about 12th week of pregnancy. The biggest fetal development at 12th week of pregnancy is reflexes. After shutting the eyes for weeks, the baby during 12 weeks of pregnancy may begin opening and closing its eyes. The baby is also making a sucking movement. The intestines are growing rapidly and starting to move into the abdominal cavity. The kidneys are also fully developed and start to function by excreting urine into the baby’s bladder. There is also so much development happening in the brain the neurons are multiplying rapidly and the synapses are forming at speed. There is no doubt that baby at this period looks like human, the eyes and ears are already in the right position. The arms and legs are fully formed. At 12 weeks, the baby is beating at a pace of 160 beats per minute (doubles the pace of the mother’s heartbeats). This range is normal and it is a compensatory mechanism of babies since they cannot produce or increase their blood volume to adapt in their own body changes. Moreover, the bone marrow is starting to produce WBCs while the pituitary gland begins releasing specific hormones. What Happens to Your Body? Your body is growing to the point that you can now feel the fundus part of the uterus. Thus, showing off your baby bump! Your waist also grows so thick that you probably need loose clothing. Furthermore, moms-to-be might notice the darkening of their skin (patches on the face and neck). Only sip fluids during meals. Do not lie down immediately after meals. Keep head elevated at night. Fatty foods, caffeine, citrus and chocolate are heartburn triggers. Acne, Dry Skin Apply moisturizer for dry skin. If necessary, do not apply makeup. * Due to hormonal imbalance, skin breakouts are considered normal during pregnancy. Fatigue Take enough sleep and rest. Plan activities ahead of time. Dizziness, Fainting Don’t get up too quickly. Consume protein-rich foods to balance blood sugar levels. Do not wear tight-fitting clothes. Lie on the left side, rather than on the back. 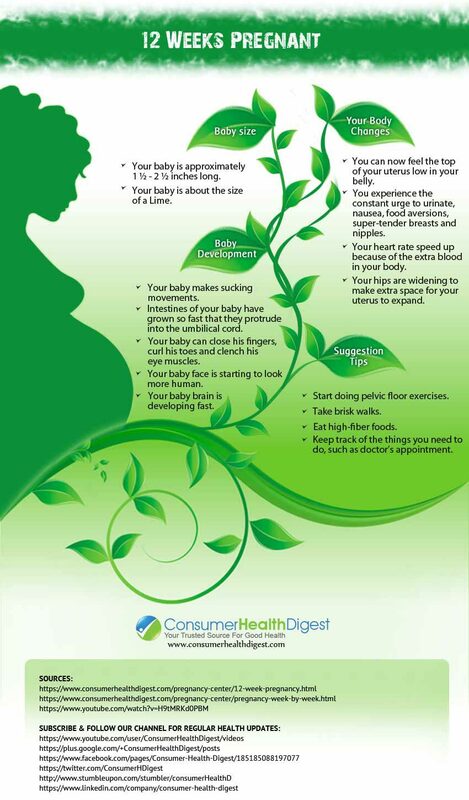 The following are the 10 commandments for pregnant mothers at 12 weeks of pregnancy. Follow the prenatal care schedules. Eat a well-balanced diet. Half of the plate should consist of fruits and vegetables. Know food hygiene. Do not eat raw, uncooked and cold foods. Get active. Perform exercise. Recommended physical activity for pregnant mothers are brisk walking, yoga class and swimming. Avoid 3 things – smoking, alcohol and illegal drugs. Cut back on caffeine including decaffeinated coffee. Thou shall not take OTC medications and other drugs not prescribed by your doctor. Drink lots of fluid. Stay hydrated. Additional Info: When is The Best Time to Get Pregnant after Miscarriage? “How soon until the couple can try again” – this is perhaps, the most common question asked by pregnant mothers following miscarriage. Traditional doctors might say 6 months while some would say 1 year! But according to a 2010 study, there is no need to delay pregnancy after a miscarriage. At this point, mothers can conceive again and the chance of having health pregnancy is still higher. Nonetheless, mothers who conceive 6 months after miscarriage are less likely to experience complications or miscarry again. For health experts, the best time to conceive again after a miscarriage is when the mother is physically, mentally and emotionally ready. Pregnant mothers should find out about the signs and symptoms of miscarriage, which include abdominal pain, severe cramps, back pain and bleeding, and seek medical attention; although, some mothers experience no symptoms during miscarriage. 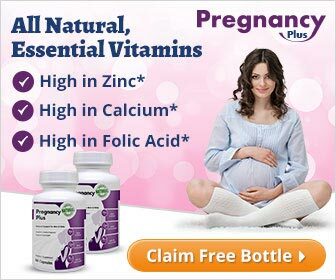 Take prenatal vitamins especially folic acid, iron and calcium. Keep weight in normal limits. Know what foods to eat and not to eat. Avoid excess intake of caffeine. Do not perform dangerous sports and activities requiring physical contact. Make sure vital signs are regularly checked and within normal limits.